With the festive season now in full swing sales of our ice fountains and champagne sparklers have been brisk with clubs and bars stocking up for Christmas and new years eve parties. 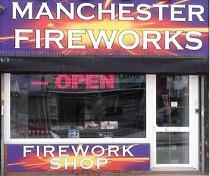 Manchester Fireworks are the largest supplier of Ice Fountains in Manchester and the north west . 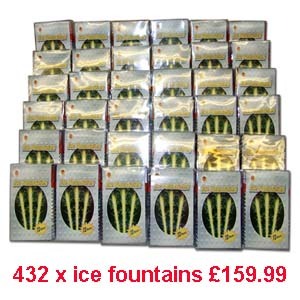 We supply wholesale ice fountains to bars clubs and food outlets. 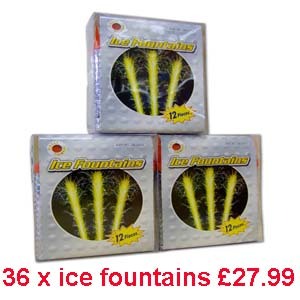 Guaranteed to make a lasting impression, our Ice Fountains are a specially constructed and safe form of indoor fountain, which generate a stunning jet of sparkles when lit. The nontoxic and virtually smoke free composition lights immediately and creates a brilliant stream of glittering light, sure to impress and set the scene. These top quality champagne sparklers are designed to European Standards and CE marked as proof of their safe indoor use in nightclubs, bars and pubs. 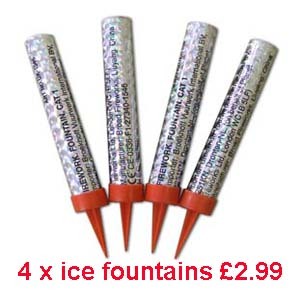 They are clean burning and non toxic and create a glittering fountain effect bursting to 30cm in height. The most common use for these ice fountains is to attach to the side of a champagne bottle using a Fountain Bottle Clip. We currently supply this product to the UKs most reputable nightclubs and bars. This product conforms to European standards EN 14035-15. 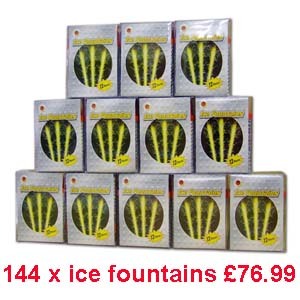 Ideal both for home celebrations on birthday cakes and the like, or for professional caterers, because ice fountains have cold sparks and very low smoke. For example these can be taped to a wine or champagne bottle for the ultimate presentation of drinks in your restaurant or night club. 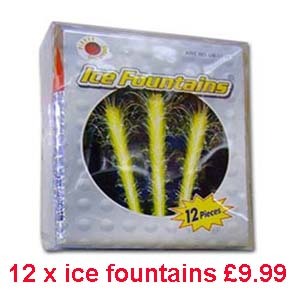 Our selection of ice fountains give off minimal smoke and do not eject burning particles like outdoor fireworks do - Please do be careful when ordering ice fountains as some that we have tested from other suppliers tend to spit out hot sparks or are inconsistent going out and then re igniting the quality of products is the key if you are going to be using ice fountains in your club or bar you do not want one of your customers to have an accident with them. These indoor fountains are called ice fountains due to their lack of hot sparks if you are quick you can slide your hand through the flame with out getting burnt. 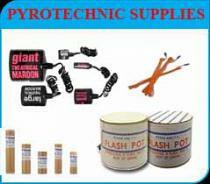 They are easily the most effective indoor pyrotechnic effect available to our customers. Sold as card tubes about 4 inches long and often with a plastic spike to stick into a cake they are easy to light and give a bright plume of sparks a foot or so high for around a minute. They can also be taped to champagne bottles! All of our ice fountains have been through thorough testing to make sure that they are safe for commercial usage.